1974 was a big year for Beatles things. It was the 10th anniversary of the Beatles coming to America and they were back in the spotlight. All four the guys had great solo albums out, Beatlefest and the Magical Mystery Tour Conventions happened, George Harrison had toured North America, Paul and John even jammed together. And the more and more Beatle-themed musicals began to pop up. New York had Sgt. 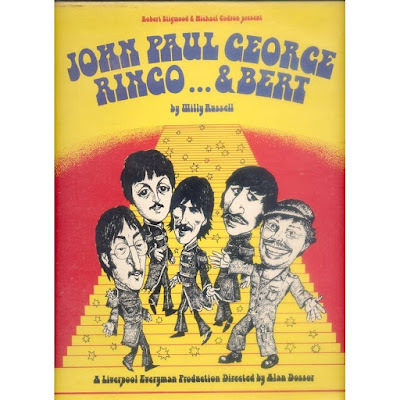 Pepper on the Road and the U.K. had John Paul George Ringo.... & Bert. The story follows a fictional character named Bert, who was once a member of the Quarry Men. He was kicked out for playing the wrong chord and became the Beatles #1 fan. He walks the audience through the Beatles' story from the Cavern to the rooftop. Beatles songs are performed throughout the play, by a woman singing them in folk music style. 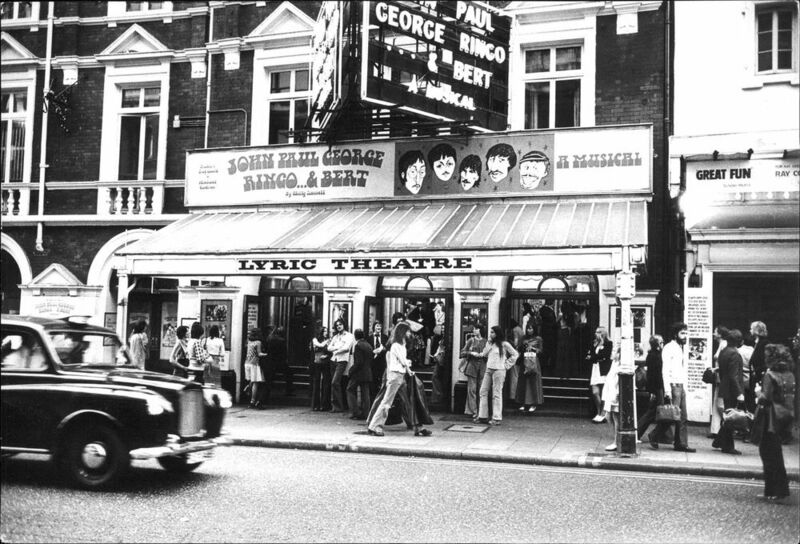 The musical opened in May of 1974 appropriately enough at the Everyman Theater in Liverpool, England. It got great reviews during it's eight week run in Liverpool. 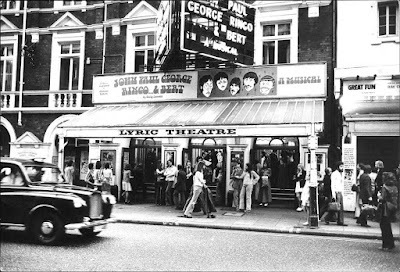 In August it moved to the Lyric Theater in London, where again it got rave reviews and even won an award for the Best Musical of 1974 but some critics award. But there was one person that disliked the play: George Harrison. There is conflicting information as to when he saw the musical. Some things I read say that he saw it on opening night in Liverpool and Melody Maker says that he saw it in October of 1974 in London. 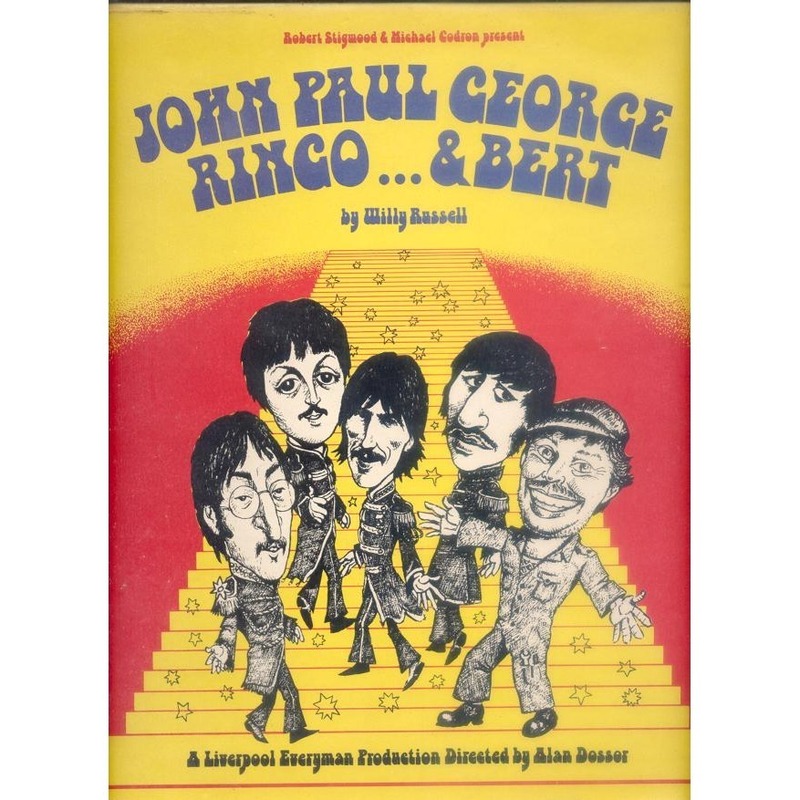 Regardless where and when he saw it, we know that George and Derek Taylor saw the play together at Derek's request and George disliked it so much, he left at the intermission and did not see the second act. Supposedly he "could not stand the pain of seeing himself and the Beatles' years being re-enacted so uncannily and he questioned the fundamental need for the show." Derek Taylor goes on to say, "George found it hard to watch and I found it hard work sitting with him. It was a genuine form of suffering for him. It was hardly surprising that George didn't enjoy it, after all, he was hardly in love with the Beatles' story while it was happening." 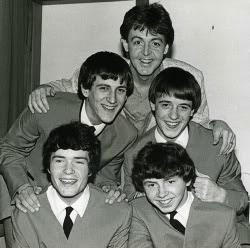 George had his song "Here comes the sun" pulled from the musical and it had to be replaced with a Lennon-McCartney song instead. The choice was "Good Day Sunshine." I never saw it, but I did see clips on the telly and I thought it had me down as the one who broke the group up. I just saw one little scene out of context and the character that was playing me was saying "I got to leave" and John's line was "all right Paulie, for the good of the group, stay." And that got me really angry! And I thought "Bloody hell! If there ever was any way, it wasn't that way. It certainly didn't happen like that . But I've since seen the fellow who wrote it, Willy Russel;, and he said, "no, it's out of context." He's since given me the thing to read so I can really understand it. The play has been shown various time by various professional and ameteur groups and schools. In 1983, while Paul was making "Broadstreet" he went backstage and met the cast members. There isn't any indication that he actually saw the play, but he did interact with the cast. As one cast member recalls, "Paul was really kind and very jokey. When I turned up with the other three boys in our costumes, he loved that. He turned to us and said 'Oh it's the Beatles!' and had a guess at which member of the band we each were. I totally agree, Mark. So CREEPY! I don't blame George for walking out at intermission, I would have as well. Sara - you might want to add an additional reaction check box. 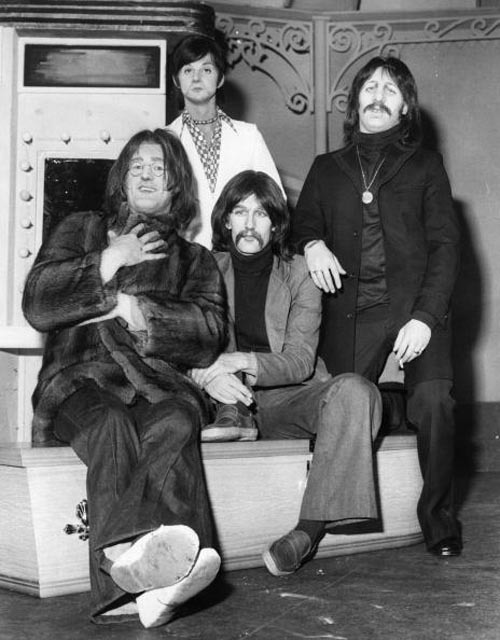 The Beatles themselves looked like wax caricatures on the second Ed Sullivan Show in Miami.